There seems to be some uncertainty out there when painting scale models around the topic of filters and washes. These painting and weathering techniques can seem a little daunting and confusing: what exactly is the difference between a wash and a pin wash, and where do filters fit in? Have no fear, I'm here to sort you out - the naming is confusing, but the techniques most definitely are not. In case you're too busy to watch a 13 minute video, here is the basic breakdown. 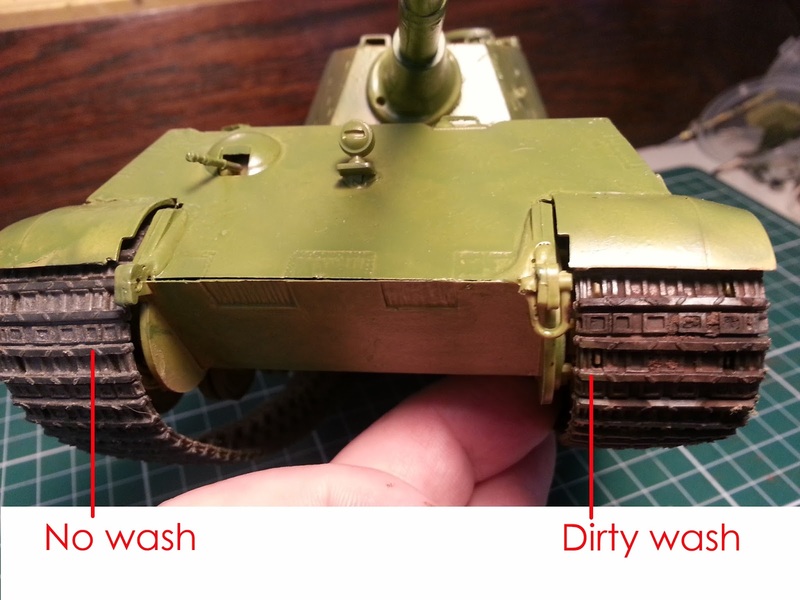 A thin layer of murky paint, roughly 1 part paint to 10 parts thinner. Applied with a medium brush. Good for making large areas look dirty and grimy, e.g. tank tracks. 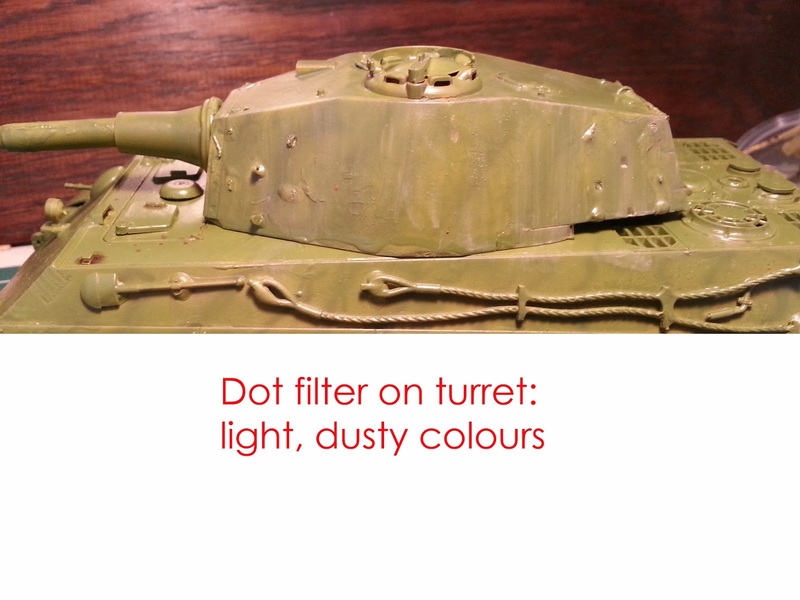 The same thinness of paint (1:10). Applied precisely with a fine brush. 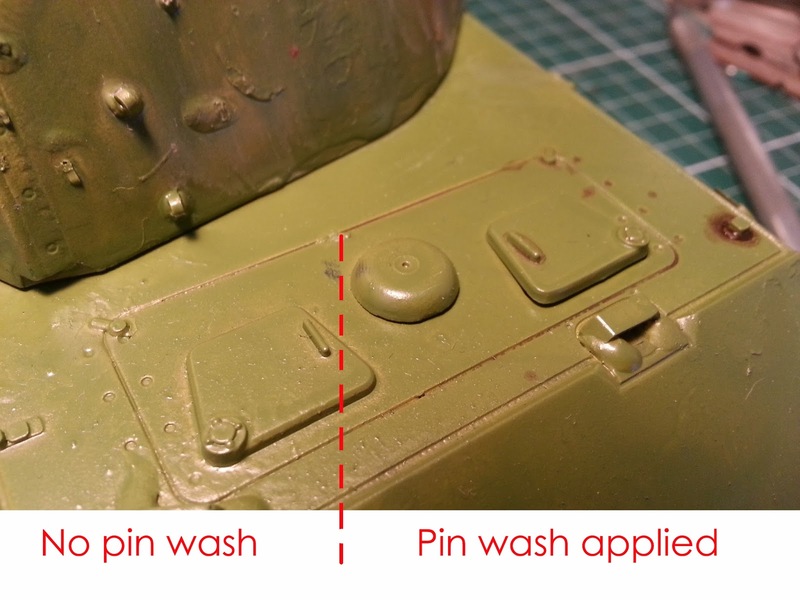 Uses capillary action to flow it along seams and panel lines. 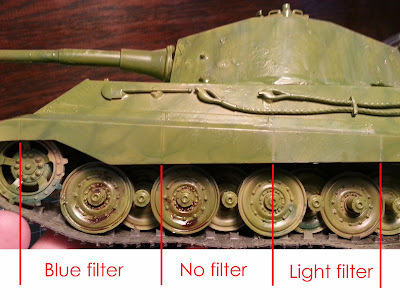 An even thinner layer of paint, roughly 1 part paint to 20 parts thinner. Applied over large areas with a large brush. 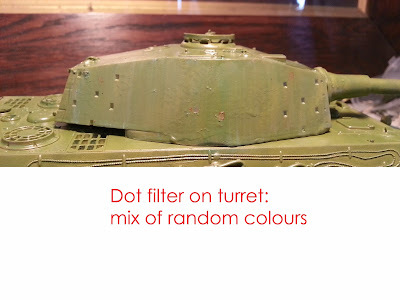 Used to even out colours overall, tone down the different tones on camouflage, or change the tone of an overall colour. Can warm or cool the tone of the base coat. Splat on little daubs of oil paint onto a surface. Then use a large flat brush which has been soaked in thinners to brush off most of the daubs. Used for colour modulation, breaks up a monotone colour surface. 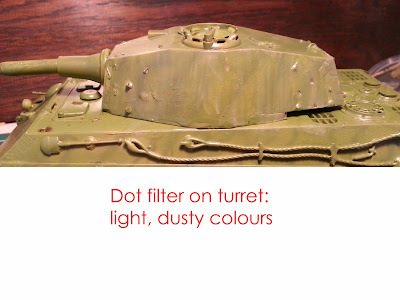 Good for weathering: dust, rain streaks, etc. I have to stress this: if like me you're using oils or enamels in any of these washes or filters, make sure you apply them onto an acrylic paintjob! The copious amounts of thinners involved will destroy an enamel surface, and your carefully applied enamel paintjob will be back to raw plastic before you know it. You don't want that. I hope that answers any questions you may have. It's not complicated, it's just confusing nomenclature. If I haven't answered your questions, please comment below and I'll do my best to answer any queries you may have.